Representatives of the hostel say that guests will be accommodated in real prison cells, and will even be fed prison food in order to experience the life of an inmate. A disused prison in the Western Siberian city of Tobolsk is set to reopen – as a hostel for travelers. “Just imagine how many events and mysteries remain obscure and lost with the end of that era. A mandatory event is the meal – ‘prison gruel’,” a representative of the hostel said. Located just east of the Urals, Tobolsk was the first capital of Siberia and is one of the largest cities in the Tyumen Region. The city was home to the exiled Romanov imperial family for 8 months in 1917-1918. 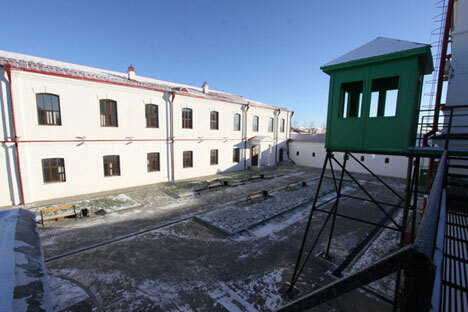 Central Tobolsk contains a former transit prison for convicts that was later converted into a museum. The prison complex was built in 1855, had a strict detention regime, and was finally abolished in 1989. Throughout the years, many notorious convicts passed through the prison’s walls, including philosopher Nikolai Chernyshevsky and writer Fyodor Dostoyevsky.